There is a staggering array of information stored within average Autodesk® Civil 3D® project. 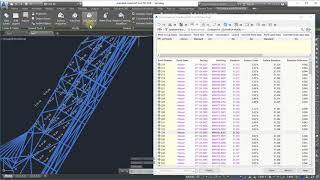 However, accessing and sharing this information can be a real challenge even for the most experienced Civil 3D user. ProjectExplorer is an easy to use, user-configurable, interactive window which is launched from within Civil 3D. Often considered to be a more powerful alternative to the Civil 3D Prospector, ProjectExplorer features a range of functionality including a powerful report, spreadsheet, table, and Autodesk® AutoCAD® drawing generator, essential editing & design validation tools, and more. Style driven & user-configurable - control the layout and content of both the ProjectExplorer window and any generated output with a range of styles which can be saved and restored on the fly. Dynamic profile/section views - Review profiles, assemblies, corridors, pipe runs and sample lines with an innovative range of dynamic profile and section views in the ProjectExplorer window. Editing & validation tools - Enjoy direct access to almost every parameter in your design. Many values can be directly edited or validated from the ProjectExplorer window via a series of tooltips, right-click menus and toolbars. Generate reports & spreadsheets - Experience the industry's leading report and spreadsheet generator for Civil 3D. Entirely style driven, user configurable, and fully automatable when used in conjunction with Object Sets. Generate AutoCAD tables - Effortlessly place user configurable AutoCAD tables into your drawing, using a workflow which is broadly similar to ProjectExplorer's report generation process. 2D export to AutoCAD - Export portions of your Civil 3D project to 2D native AutoCAD drawings. The resulting drawings look identical to the originals and make ideal lightweight starting points for contract drawings. 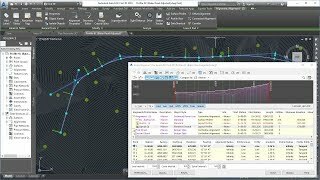 Comparison tools - Compare the elevation, slope, and offset between alignments, profiles, corridors, pipe runs and surfaces - then dynamically monitor these relationships as your Civil 3D design evolves. Content filtering - Filter project content using a range of criteria such as specific point codes, link codes, profile types, elevation or slope ranges, surface types, pipe run paths, and more. Object search - Easily find any named object in your Civil 3D project then highlight, select, zoom or pan to it instantly in the AutoCAD viewport or ProjectExplorer window. Fixed a problem which caused a crash when displaying or generating reports of alignments which contain entities with a zero length. I've only used it once and that was to obtain incremental northings, eastings, and elevations off of surface profiles that are offset from the control alignment, but it's already saved me at least couple hours of work. As soon as I opened it, there was the information I needed. I can't wait to see what else it can do. An essential add-on for exporting reports for site, output can be customised exactly how I need to give the information for setting out. 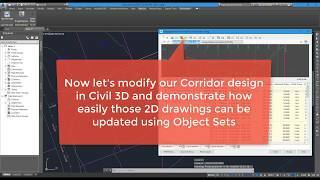 Geometry reports and other outputs are far better than standard Civil 3D reports. Very handy tool that gives you a great overview of your drawing!